The Olympus’ EVOLT E-510 digital camera shows Olympus commitment to imaging excellence and precision. 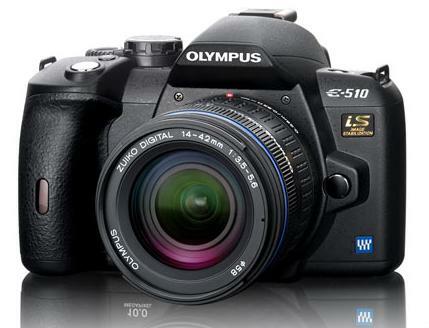 The 10-megapixel Olympus E-510 digital SLR is ready to deliver the ultimate in professional-grade photography. It comes with Live View, a built-in image stabilizer for razor-sharp shots in shaky conditions and a new engine to guarantee exceptional noise performance. This model features a high resolution 6.4cm/2.5″ HyperCrystal LCD, hi-speed USB 2.0, a dual-slot memory compartment for xd-Picture Card and CompactFlash, and a range of 18 convenient scene modes.